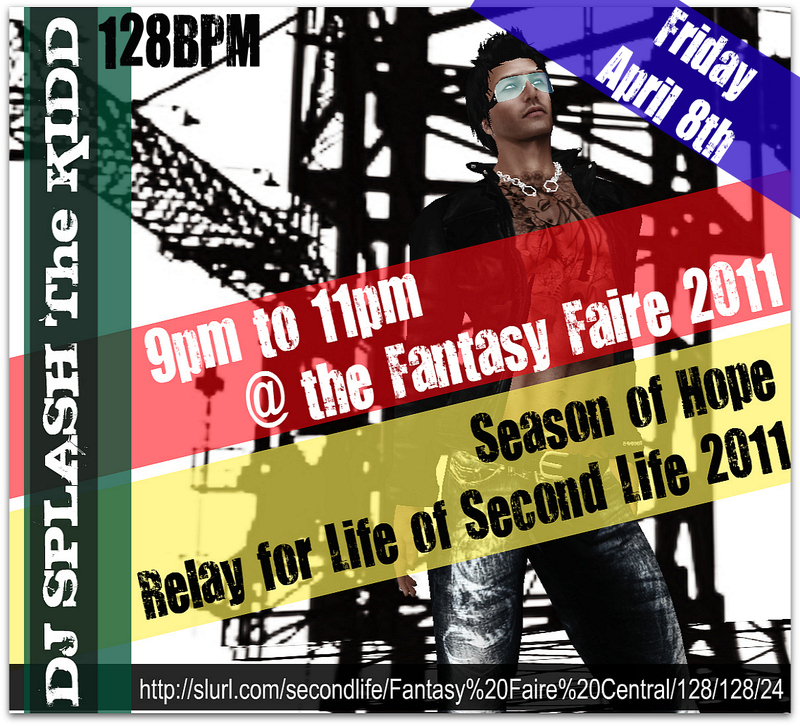 I’m DJ at the Fantasy Faire 2011 in Second Life on Friday April 8th, 2011 from 9 pm to 11 pm (PST). 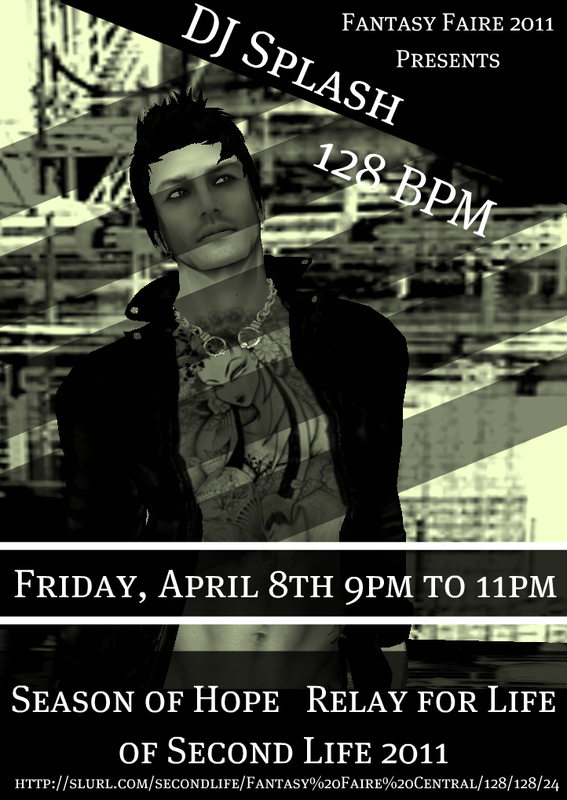 If you’re a member/resident of Second Life and on the “grid” during my gig time please come out and hear me DJ for a bit if you can. I’ve included two photo/ad’s for my event that I had made up today by Ms Laynie Marialla, who is a fabulous photographer in Second Life, who’s available for commission work if you’re in need of unique and professional looking pictures. My RL has been so busy lately, I almost forgot about this important DJ gig coming up and asked Laynie if she would do a rush job for me. I was super please with the results of Laynie’s work on such short notice. This entry was posted in DJ, Non-Profit, Relay For Life, Second Life, Social Media, Virtual Reality. Bookmark the permalink.